Preheat oven to 350 degrees. Spray a large 9x13" baking pan with non-stick cooking spray and set aside. Slice each pepper in half and remove the seeds. Set each pepper half in the prepared baking pan. 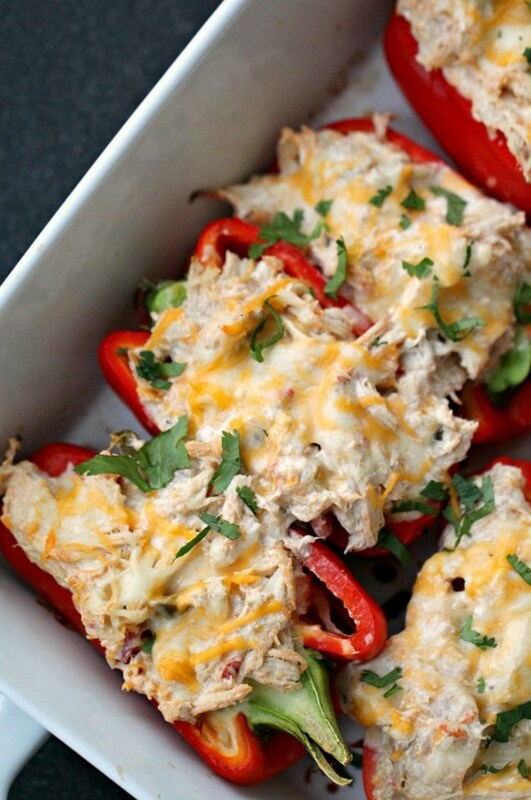 In a large bowl, mix together chicken, cream cheese, Colby jack cheese, jalapeno, cumin, salt, and salsa. Scoop mix into each pepper. Top with cilantro, if using.